The following MBW blog comes from Josh Collum (pictured), who is Co-Founder and Partner at Sorted Noise, a Nashville based synch licensing company, as well as Co-Founder of The Other Nashville Society, an organization that brings together the non-country music community in Nashville. Josh is also a singer / songwriter whose band, Secrets in Stereo, has been licensed in film, TV, and advertising over 150 times and his songs have attracted over 250m views on YouTube. First off, about that headline: I don’t mean “So what!” in the sense that we shouldn’t care about 99% of artists. I’m not a heartless ghoul, I promise. Also, I’m one of the 99%. I’m just not sure the 1% figure should matter that much. This all comes from a great (and provocative!) article by Music Business Worldwide I read the other day. It was a review of Spotify’s Founder and CEO, Daniel Ek’s, presentation at the company’s first ever Investor Day. Ek stated that there are currently about 22,000 artists that fall into this category, up from 16,000 in 2015. 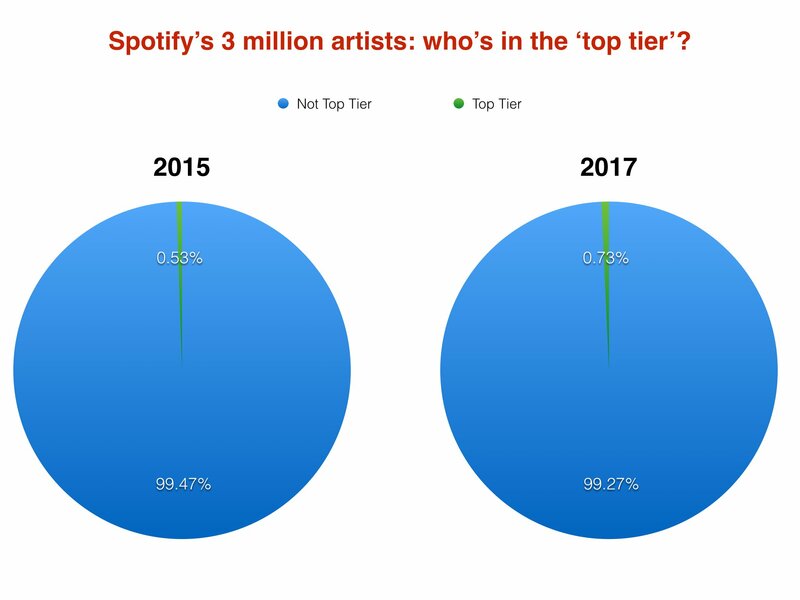 He labeled these artists “top tier”, suggesting that they are in the elite band of acts that can live off their work solely from the revenue they generate from Spotify. Unfortunately, we don’t know exactly how to quantify what “live off their work” means financially. But, if we take into account Spotify’s total amount paid out to music rights holders last year [around $4bn], it’s probably fair to be conservatively put the platform’s annual ‘top tier’ earnings threshold at approximately $50,000 a year. MBW’s piece centered around the fact that the 22,000 “top tier” artists Ek spoke of only made up 0.733% of the total number of artists on the platform (out of a total of 3 million). I’ll be the first to say that I don’t have all the answers or the data. And that the “1%” concept certainly makes for a great headline (I used it above with glee). But this number also subtly invites an “us vs. them”, “haves and have-nots” reaction. Which I’m not sure is the way to go here. There’s a ton of positivity in Daniel Ek’s numbers – if you’re looking at the right numbers. Serious question… Has there ever been a platform or a revenue stream where more than 1% of artists made a living from that singular platform or revenue stream? Again, I don’t have the data. But my gut is there’s no chance. Do we really believe that at the height of iTunes’ popularity that included 30+ million songs from millions of artists, that more than 1% of those artists on the platform made a living strictly from iTunes downloads? What about YouTube? Do we really think that out of every artist that’s uploaded a video, more than 1% make a living solely from the platform? Or for that matter, many of the leading PROs of the world (ASCAP, BMI, PRS, etc.) boast record breaking revenue every year. I’d love to know what % of the songwriters they represent make a full time living solely from those royalty revenues. My guess? Less than 1%. Isn’t the total number of “top tier” earners the more important number? There’s never been more music being made and released. Spotify alone adds 20,000 songs a day by thousands of artists. With that growth, the total number of artists making a living through the platform could go up dramatically, while the percentage of those “top tier” earners within the overall number of artists goes down. So, what’s more important? That more artists, in total, are making a living? Or, that the slice of the pie chart they represent got smaller by .01%? At the risk of sounding a little harsh… just because a music platform exists, doesn’t mean you’re going to make money on it. Quality of art matters. Doing the hard work of building a community around your art matters. How you strategically use the platform and the tools that come with it matters. If you’re not in the 1%, it’s not the platform’s fault. Being an artist and making a living in music has terrible odds of success. We knew this going in. We also know that in the history of music it’s never been easier for an artist’s music to find ears (and fans’ wallets). 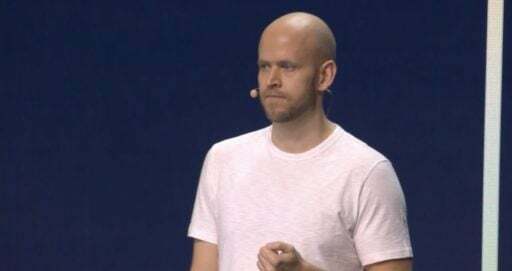 Maybe my positive outlook is naive, but when I hear Daniel Ek say that 22,000 artists are now ‘top tier’ on Spotify vs 16,000 two years before, what jumps out to me is that 6,000 more artists are making a living from a single music platform than there were two years ago. And when you think about how the total ecosystem still has so much more room to grow globally (Spotify alone projects to go from 3 to 10 million Artists, and from 70 to 100 million-plus paid subscribers in the next few years), I see a strong, steady growth of artists that are making remarkable art and making a good living by simply sharing their music with the rest of us. What if Spotify does hit the 10 million artists mark? Even if today’s 0.73% ‘top tier’ figure holds, that’s 73,000 artists making a living from the platform. Maybe Ek and Spotify will reach their goal of a million artists making a living off the platform. Maybe they won’t.